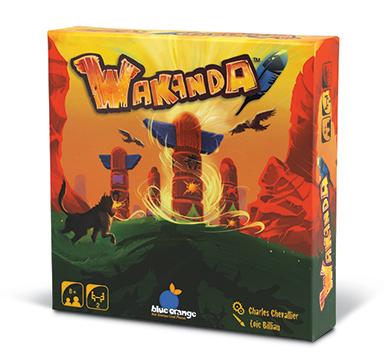 Wakanda is a 2 player totem pole building game. 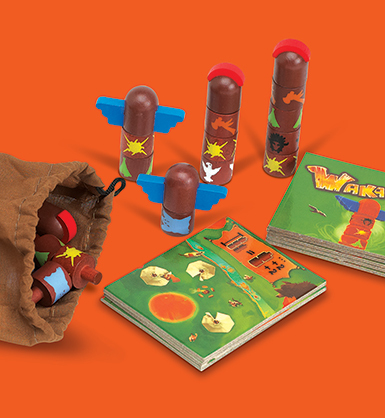 Your objective is to build and claim the totem poles worth the most points at the end of the game. Each turn, you will have to choose between increasing the value of one of the available totem poles, or claiming it as your own. Totems only score points if you can also claim the corresponding village tiles. So play smart, and build totem poles that will honor the old gods.